William Paine and Agnes Neves his wife were the parents of a very adventurous group of children. Their daughter Elizabeth Paine married John Hammond, together they immigrated to Watertown, MA with their children between 1630 and 1634. But Elizabeth was not alone in her move to a new world, her sisters Dorothy and Phebe and her brother William also immigrated. 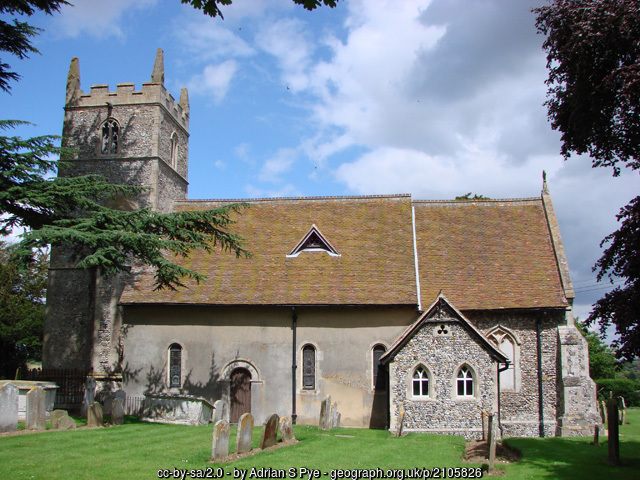 Note: William Paine of Lavenham did not have a son Robert, at least there is no record of a baptism for him and Robert Charles Anderson doesn't seem to have his as a brother either. These two authors had apparently not seen the Paine entries in the parish records of Lavenham, they did not know the existence of the Lavenham Paines. They did not have the baptismal or marriage records of the Paine's of Lavenham, did not know they lived, married and died there, they did not know the name Agnes Neves or the names of the Paine siblings who did not immigrate to Massachusetts. What most people seem to have done is taken the Paines of Lavenham, their baptisms and deaths and sorta said they were born in Nowton Parish of Lavenham, or some other mishmash of names. 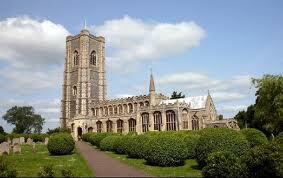 But Nowton is Nowton and Lavenham is Lavenham, two entirely different places, each with it's own parish church. As I said, in 1881 a book was published on the ancestry of the Paine family. The author incorrectly identified the Paine's of Nowton as the ancestors of William Paine and his sisters who immigrated to Massachusetts in 1635. A thorough search of the parish registers in 1915 proved this to be the wrong family. A second troll through Suffolk in 1625 turned up wills of the Lavenham Paines that confirm that the Lavenhams and the Nowtons were distinct families. William, the son of Anthony and Mary Castell was baptized in 1565 at St. Marys Church in Bury St. Edmunds. St. Marys was the church of choice for the baptisms of the Paines of Hengrave/Nowton. This William's name is not found in the Lavenham parish registers. William of Nowton's father, Anthony, died in 1606. Although not his heir, he made bequeaths to his son William in his will. He also named his one year old granddaughter Anne. In 1606 William of Lavenham had five or six children and his daughter Anne was 18 years old. William of Nowton died in November of 1648, his wife had died the previous April. William of Lavenham died in 1621, his wife Agnes died in October of 1645. All the Paines of Nowton were buried in Nowton. William of Nowton seems to have had a son William, baptized in 1605 in Barnham, but as he was not named in his grandfather's will, it is presumed that he was dead. William, son of Thomas and brother of Richard had three known children: William Jr., Thomas and Agnes. The name of William Sr.'s wife is unknown as are the birth dates of the children. 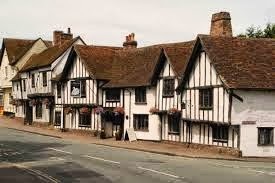 The three children are known to have lived in Lavenham. The parish register begin in 1558 so we can only trace the family to that time. A William Paine Sr. died in 1587 and a William Paine died in 1583, either of these could be him. I think he was the William who died in 1587. In 1559 a birth of a Thomas Paine was recorded in the Lavenham parish records. He was, most likely, the son of William Jr., who was presumably now married and living in Lavenham, some seven or eight miles from Boxted. William's brother Thomas married Agnes Wyatt in 1561 and their sister Agnes married George Seargentson in Lavenham in 1565. In an odd twist of fate, the two William Paines, one of Lavenham and the other of Nowton, may have come face to face. On 6 October 1634, William Paine, 37, clothier of Lavenham, was deposed in a court case involving his brother Richard. His deposition was taken at the Greyhound Inn in Lavenham before two commissioners; Sir Robert Crane, Baronet and William Payne, Gentleman. Were these the two Williams who are confused today? I think they were? Another interesting thing about this court case is that Richard Paine stated that he had gone to Bury St. Edmunds, "a long way off" where he "was a stranger." Anthony Paine had owned many houses and lands in Bury and he had been one of the leading men there. If Richard was his grandson, he would have been known to men in Bury and not thrown in jail. William Paine's family members obviously lived, married, died and were buried in Lavenham. They had no connection to Nowton Manor. Below is my side by side comparison of the two families. It's a bit squished in this view but you might find it helpful. William and Agnes have six living children: Elizabeth, Ann, Susan, Phoebe, William and Richard. Anthony Paine buried 4 March at Nowton. He wrote a will and named, leaving his estate to Grandson Anthony (2). He also names his son William and William's daughter Anne. Visitation of Suffolk: William Paine m. Elizabeth Sparrow, daughter Ann age 7, not other children named. William hold his last court as Lord of the Manor of Nowton. He sold the manor to Sir Daniel de Ligne. William Paine, sometime Lord of the Manor of Nowton, buried at Nowton. He requested to be buried next to his wife in the chancel. Albert W. Paine, Paine Genealogy, Ipswich Branch, (Bangor, Maine: O. F. Knowles, 1881), 51, digital images, Hatitrust (babel.hatitrust.org : accessed 5 February 2016). Henry D. Paine, Paine Family Records, a journal of genealogy and biographical information respecting the American families of Payne, Paine, and Payn, (Albany : J. Murrell, 1883), 177, digital images, Hatitrust (babel.hathitrust.org : accessed 5 February 2016). William Harvey, Robert Cook, John Earl Raven and Walter Charles Metcalf, "The Visitation of Suffolk Made by Hervey, Clarenceaux, 1561, Cooke, Clarenceaux, 1577, and Raven, Richmond, Herald 1613, with notes and an appendix of additional Suffolk Pedigrees, (Exeter, William Pollard, 1882), 157; digital image, Internet Archive (https://archive.org/stream/visitationsofsuf00harvuoft#page/156/mode/2up : accessed 8 October 2015). Henry D. Paine, Paine Family Records, 177. G. Andrews Moriarity, "Genealogical Gleanings in England V," The New England Historical and Genealogical Register, Boston, MA, The New England Historical Genealogical Society, 1925, 79, pgs. 82-84; digital images, American Ancestors (http://www.americanancestors.org/databases/new_england_genealogical-and_historical_register : accessed 4 Oct 2015). G. Andrews Moriarity, "Genealogical Gleanings," 84.